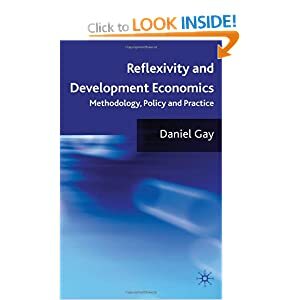 Reflexivity and Development Economics outlines an alternative to the prevailing view of economic development, the revised Washington Consensus, which holds that the same development policies work more or less everywhere. Based on an open-ended view of economic knowledge which moves away from one-size-fits-all blueprints, Daniel Gay argues that economic analysis should vary according to country context. He examines the approach in the case of one of the world’s poorest countries, Vanuatu; and a development success-story, Singapore, showing that listening to the poor improves policy, and that examining the biases held by development economists helps tailor policy more closely to local conditions.